Runners take over Woodward Drive during Thursday's Turkey on Run 12K and 5K. 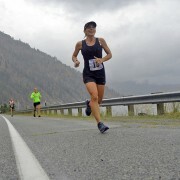 WENATCHEE — Turkey on the Run keeps getting bigger and bigger. 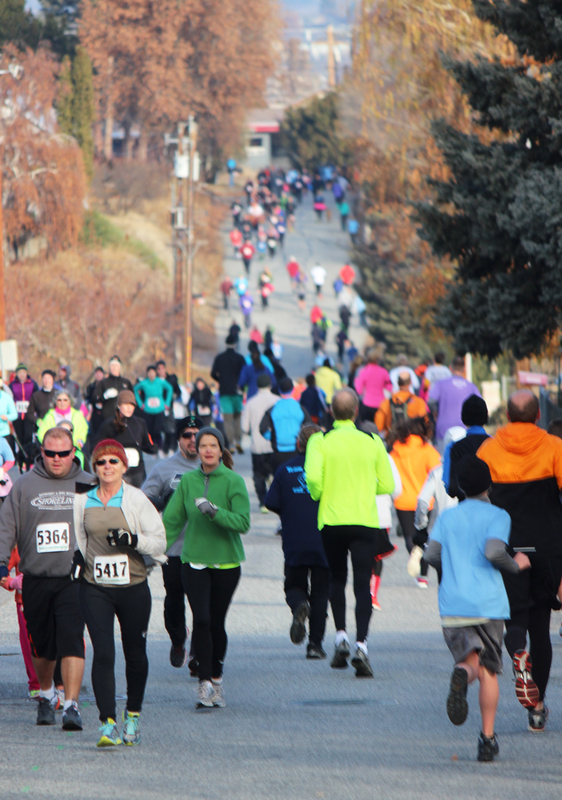 The sixth-annual Thanksgiving Day event, put on by RunWenatchee, attracted a record 931 runners and walkers to the community’s west outskirts Thursday morning. Temperatures were chilly, but blue skies and a festival atmosphere — many participants wore costumes — left plenty of smiles to go around. The turnout smashed the old attendance record, set last year when 680 runners and walkers participated in the holiday race. A lot of runners wore costumes. Turkey on the Run, which serves as a fundraiser for the Women’s Resource Center, starts and ends at Rotary Park along Western Avenue. The 5K course heads south on Western Avenue to Springwater Avenue and Woodward Drive before turning around at Fifth Street and returning to the park. 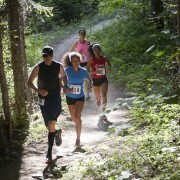 The 12K course utilizes the 5K course and then heads up Fifth Street to the end of Number One Canyon Road before turning around and returning to the park. A 1K kids dash is held in Rotary Park just prior to the two main races. The event attracts typically attracts dozens of families and this year was no different. Kellie Anderson came with her 5-year-old daughter, Starla, and her father-in-law, Len Anderson, all of East Wenatchee. 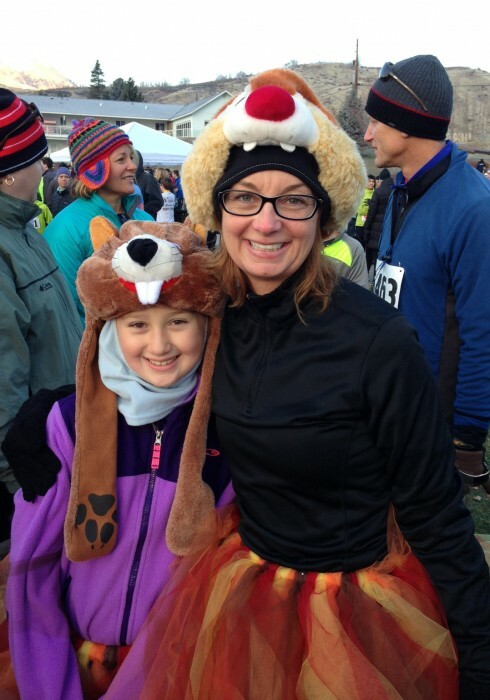 For Kellie, it was her first Thanksgiving Day run in years. “I really wanted to do the 5K and I wanted to do something active on a day when we’re all eating,” she said. Owen Sheets, a 16-year-old from Wenatchee who ran with his dad and sister, wore what can only be described as a turkey hat. Asked about it, Sheets was nonchalant. “I saw a couple of Pilgrims in the registration line,” he pointed out. 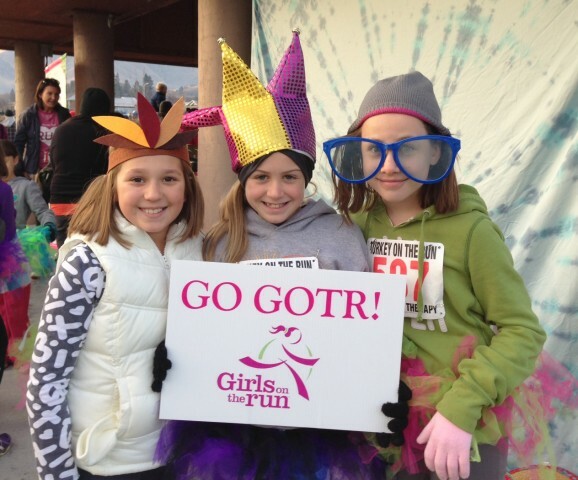 These Girls on the Run members from Sunnyslope Elementary School took part in Turkey on the Run. Also on hand was a large contingent from the Girls on the Run organization. The fourth- and fifth-grade girls from Sunnyslope, Mission View and John Newbery elementary schools ended up completing their first official 5K. Each ran with an adult running buddy. In the women’s 12K, Leavenworth’s Farrell (47:35.0) held off Wenatchee’s Sarah Barkley (48:38.9) to win by about a minute. Farrell has twice qualified for the U.S. Olympic Marathon Trials, and Barkley finished 26th overall and 12th among Americans in this year’s Ironman 70.3 World Championships. “It’s a gorgeous course, climbing up Number One Canyon,” said Barkley, a newcomer to Turkey on the Run. The men’s 12K was marred by a mix-up near the finish. Jacob Smith, the former Wenatchee High star runner who now competes for the University of Washington, had a sizable lead when he said a volunteer inadvertently directed him onto the 5K course. By the time he realized the mistake, McArthur had passed him. McArthur finished in 44:36.2 and Smith in 44:57.3. Smith said afterwards he wasn’t upset. There were no mix-ups in the 5K as both Nordt and Pierson won comfortably. Finishing second in the women’s 5K was Jordan Hartley (22:06.3). Runner-up in the men’s 5K was Jack Dunley (19:01.8). Another huge winner on the day was the Women’s Resource Center. Hundreds of participants brought food items to the race. 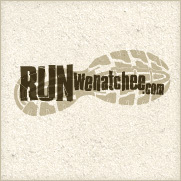 Race director Joel Rhyner said RunWenatchee will be writing a significant check to the Women’s Resource Center once all expenses are totaled up. WRC board members were ecstatic at the amount of food collected. A year ago, Turkey on the Run generated a ton of food for the organization. The amount collected this year won’t be known for a few more days, but officials said it appeared to be significantly more.